Away for the winter for 2-3 months? I will house sit and care for your dog! Hi, my name is Meg! I am looking for a pet sitter placement in Ottawa, Ontario. I'm available to live in your home and care for your dog starting May 3, 2019. 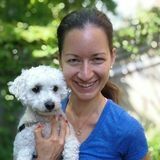 I am available to dog sit for a week up to a few months in Rockcliffe, Hintonburg and central Ottawa locations in between. I will take care of your dog's feeding, provide long walks and trips to the dog park, and love your dog like my own. Further, I have personal transportation available. With respect to my experience, I have over 13 years of pet sitting experience. I work from home, so your dog will have lots of attention during the day. Shoot me a message and I'll reply within 1 day. Looking forward to hearing from you and seeing if we're a good fit!